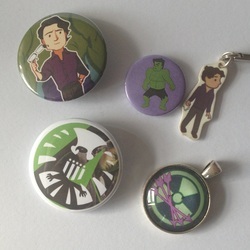 I saw The Avengers, and fell wholly in love with Bruce Banner. My love for the Hulk came after, but quite quickly I knew I'd found my Marvel hero. 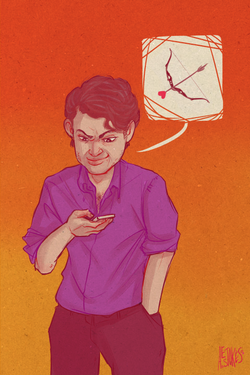 I identify a lot with Bruce's need to have two facades, to protect himself, and the anger he constantly feels, and I adore him - enough that I write a lot about him and roleplay him on Tumblr. LOOK AT THE CUTENESS. ALLOW IT TO PERMEATE THROUGH YOU. 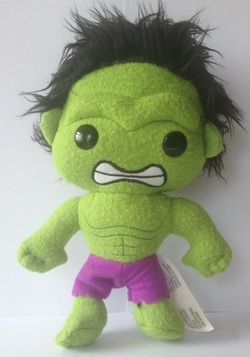 HAVE YOU EVER SEEN A CUTER HULK. I absolutely love this thing. He's super soft, stands around 9 inches tall (give or take, depending on hair style), and he's just beautiful. 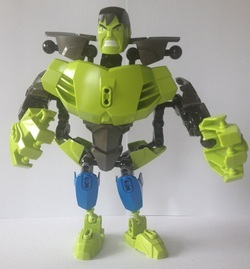 This is a HUGE Hulk! He was a birthday gift from my mum, and when you squeeze his legs together he roars. 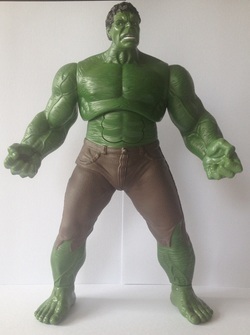 Truly a fantastic figure - but he is enormous, standing 12 inches tall! 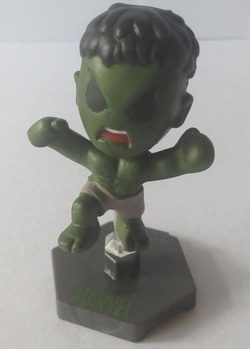 This Hulk had to be put all together like Humpty Dumpty when I got him, and he can be joined with Iron Man or Captain America from the same series to create treble the power. 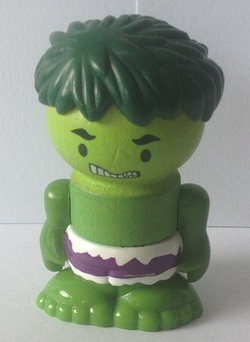 I am not 100% sure where this guy came from, but I got him on eBay, where he was listed as a playset figure. I also own a Spiderman version, too, and they're both really quite cute! 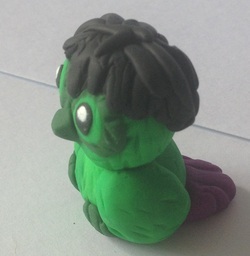 This is a 2-inch tall figure, almost like a big Chou Ghetto from the Pokémon franchise. He's awesome! 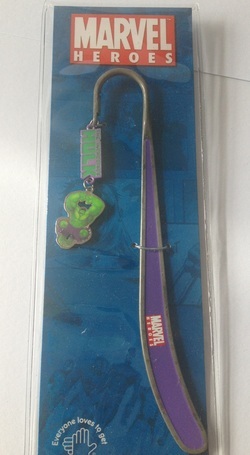 This is a flat bookmark, made of metal, featuring a leaping Hulk on a long strand, which is what goes between your pages. 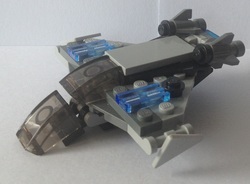 This is a Lego Quinjet figure, given away by The Sun newspaper in 2012. It's really quite small! 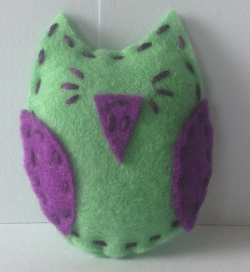 This was a trial run of my own Owl pattern, and he's made out of faux fur and buttons. He's derpy as hell but cute, too! I love thinking of Bruce and Hulk as wise old owls, and so my Hulk Owls meme collection was born. This little guy is a few inches tall and made of soft felt. I purchased him at London MCM Expo in October, 2012. Hulkeye Shipper pendant, bought for me by a super good friend for Christmas.